Pork roast is generally part of the menu for a big winter meal, like Sunday dinners in January in front of a roaring fire. 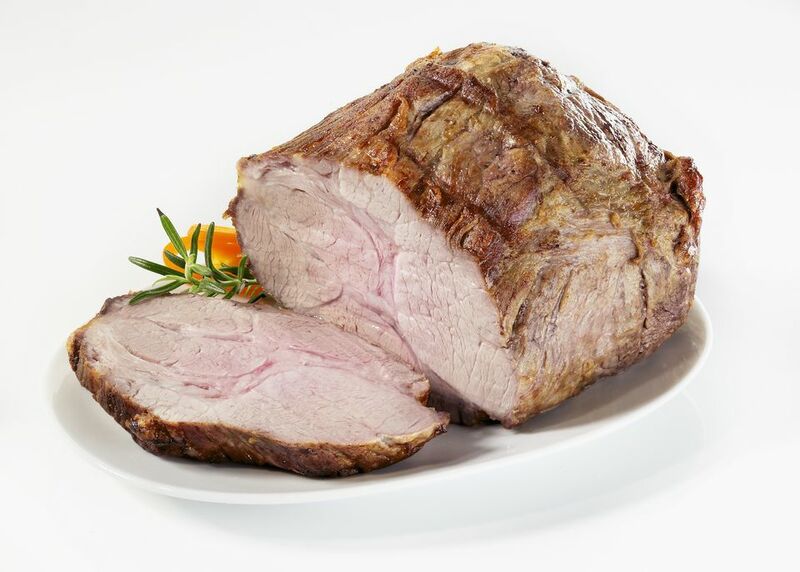 Pork roast can also be cooked to delicious effect on the grill during warmer weather. Long, slow cooking on the rotisserie makes for a juicy, tender roast that's infused with smoky flavor that can't be duplicated in the oven. For barbecue flavor, brush the roast with your favorite barbecue or grill sauce about 10 minutes before it's finished cooking. Arrange the roast on the rotisserie skewer and heat the grill. Combine the garlic, paprika, salt, pepper and olive oil. Rub the pork all over with the spice mixture. Put the rotisserie on and adjust the heat source so the pork is cooking over indirect heat; try to maintain a temperature of about 325 to 350 F.
Place a disposable aluminum pan under the pork and add the herbs and beer to the pan. Close the lid of the grill and cook the pork for about 1 1/2 to 2 hours, or until the pork registers 180 F on a meat thermometer. Summertime sides go great with this pork roast grilled to perfection on the rotisserie. Grilled corn on the cob, classic potato salad or potato salad doctored up with bacon bits, and an array of cold pasta salads are all good pairings. Coleslaw is a traditional side with barbecued pork, and it goes well with this roast grilled on the rotisserie as well. Alternatively, add homegrown tomato and cucumber salad with buffalo mozzarella or Caesar salad with freshly shredded Parmesan cheese and you have a menu for dining alfresco. Start things off at the cocktail hour with a big pitcher of margaritas or mojitos for a change of pace from the usual wine. A cold dessert like ice cream, sorbet, Key lime or lemon meringue pie makes a satisfying finale to this dinner.